I don’t always follow the rules of writing, so if you’re looking for a more structured by the book writer then I am not for you. Marilyn Monroe once said “If I’d observed all of the rules I’d never gotten anywhere.” I believe that to be true for writers as well. I mean do what you must to get noticed/published but don’t forget to be who you are and stay true to yourself and your writing or else the joy you experience from your writing will more than likely fade once you decide to be a sheep in what should be considered nothing other than a wolf’s world. Think about it…a writer usually lives a life full of more solitude than most (the writers that follow the crowd are usually just looking to try and make a few quick bucks.) Don’t get me wrong I do want to be a stable/paid writer but not at the cost of giving into what others think I should be or do. I’m not saying I’m so stubborn that I won’t give a little in order to get my work published etc. but I’m not going to sell out either. Poetry doesn't have to rhyme or even make sense, I've read hundreds of boring novels and enough EMO writing to make me want to kill myself (and all of the writing pretty much followed the standard) but over the years I've learned that even if I didn't think the writing/writer I was reading was talented/creative that someone else obviously did but it made me want to stand out, and be a rebel writer and the great thing about writing is that the rules aren't set in stone. As a writer you create a world, you shape it and give life to characters and bring images alive, your readers are born into a new world, you don't need rules, you need IMAGINATION, CREATIVITY and to be UNIQUE. 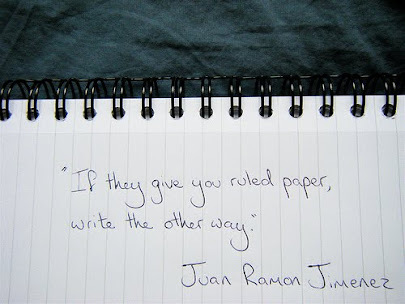 So don't think you're not a writer just because people say you don't follow the rules. 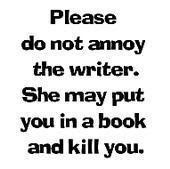 A real writer shatters the rules and picks them up to piece them back together in their own way.